The fi-6225LA’s ability to scan up to 30 ppm or 60 ipm in monochrome / greyscale (Letter, 200 dpi) makes it the top cost performer in its class. 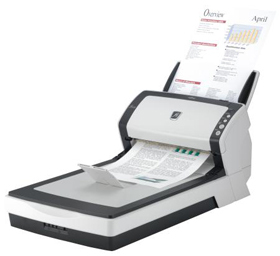 Its ability to continuously scan 50 page mixed batch documents containing paper of different weight, quality and sizes enables the fi-6225LA to efficiently digitize large volumes of paper documents. The fi-6225LA is also able to scan up to 3 non-embossed plastic cards or 1 embossed plastic card (up to 1.4 mm thick) at a time. Scanners Support is available at Ahmedabad, Bangalore, Chennai, Delhi, Hyderabad, Kolkata, Pune and across 150 locations in India. Kairee provides scanners with the feature like ADF scanner, ADF with Flatbed scanner, High speed, Simplex & Duplex scanning, high resolution from 75 to 1200 dpi, CCD Based, minimum paper size visiting card & maximum paper size A3 scanning, color, Black & white (bitonal), Gray Scale scanning, Bulk scanning. Kairee has wide exposure to every part of India including cities like Ahmedabad, Bangalore, Chennai, Delhi, Hyderabad, Indore, Jaipur, Kolkata, Mumbai, Nagpur & Pune. © 2014 Kairee Systems Pvt. Ltd.